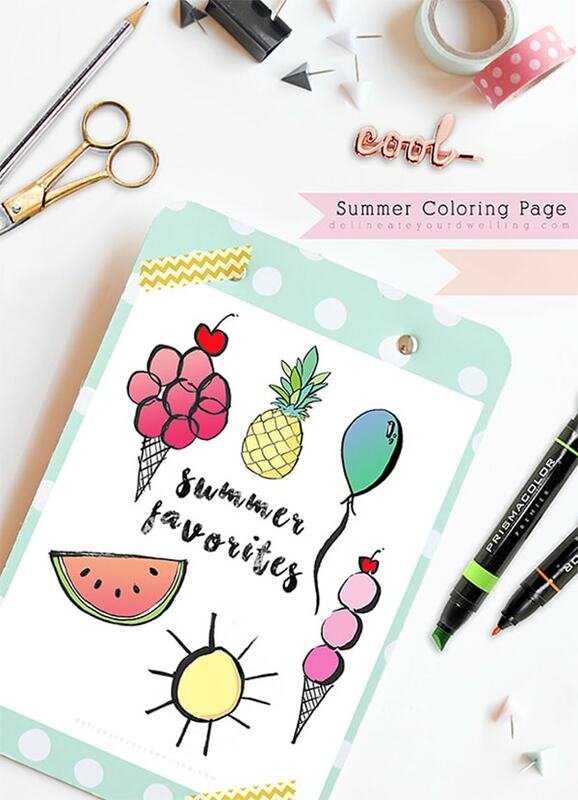 INSIDE : Download a fun Summer Favorites coloring printable page! We’ve been having consistently warm sunny days, so even though it’s not technically summer yet… it sure feels like it! Plus, my kiddos are out of (pre)school and I’m looking for fun summer activities to fill our time. Introduce my Summer Coloring Page! Just yesterday I was feeling a little stressed and first thing I did was pull out all our colored pencils, all our crayons and markers. Everyone had a seat at the table and we colored for about half an hour. It’s amazing the calming effect that creativity and coloring specifically can bring. 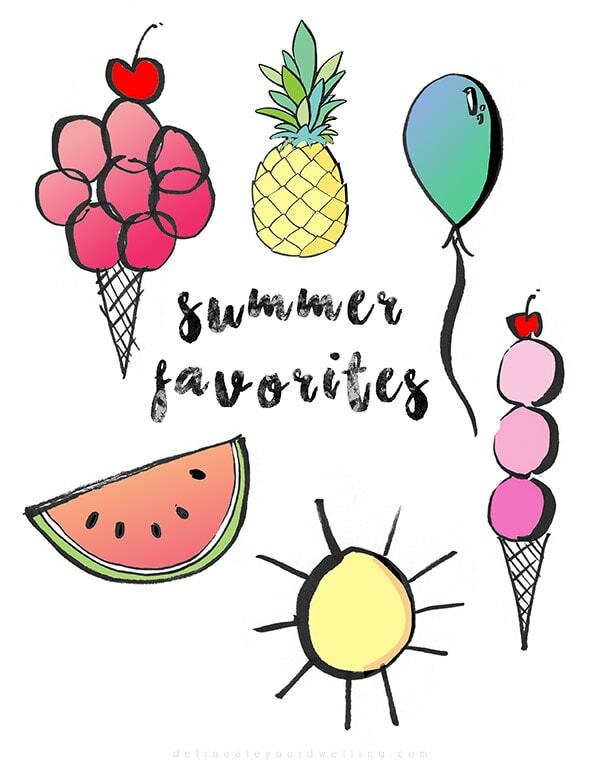 I drew out these fun summer favorite things and wanted to share them with you all! If you notice, ice cream cones is on there twice… because ICE CREAM CONES deserve to be represented at least twice – ha. Comment below with your favorite summer things because I’d love to make another using YOUR favorite summer things! I absolutely LOVE your coloring page! Stumbled & Pinned! Oh thank you so much, Marilyn! !